No one but Santa would have received a warmer welcome than the special visitor that arrived at St Anne's Special School at the Curragh this morning. In fact, this shiny white four wheeled guest, draped with a red ribbon and bow, is here to stay. The specially adaptable bus, which is kitted out for wheelchair users, children with mobility problems, and medical equipment, cost €70,000. This huge sum of money was raised through the grit, determination and hard work of the parents, driven by three tireless campaigners, Peter Merrins, Lorraine Higgins and Wendy Mitchell. 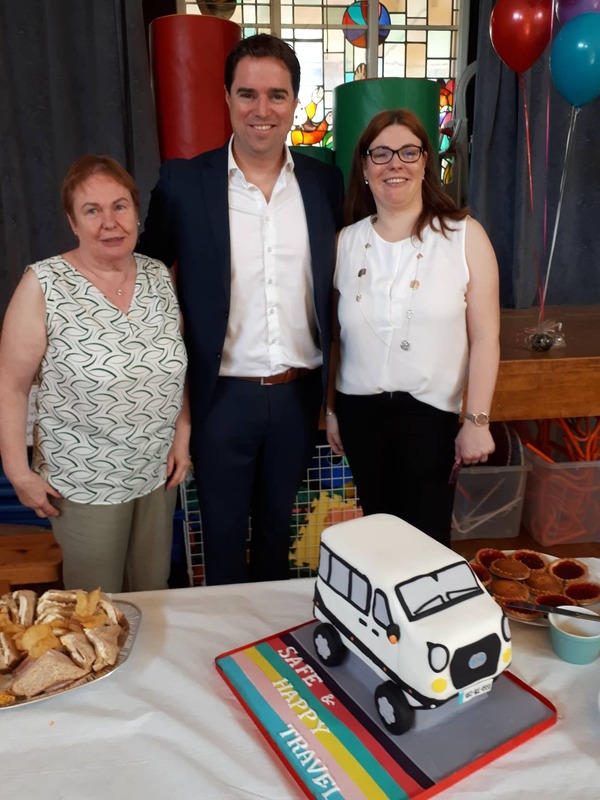 When the Leinster Leader popped along to the launch of the Operation Transportation fundraiser at the end of last September, few doubted the commitment of the trio. However, to raise that sum of money in nine months is beyond impressive. 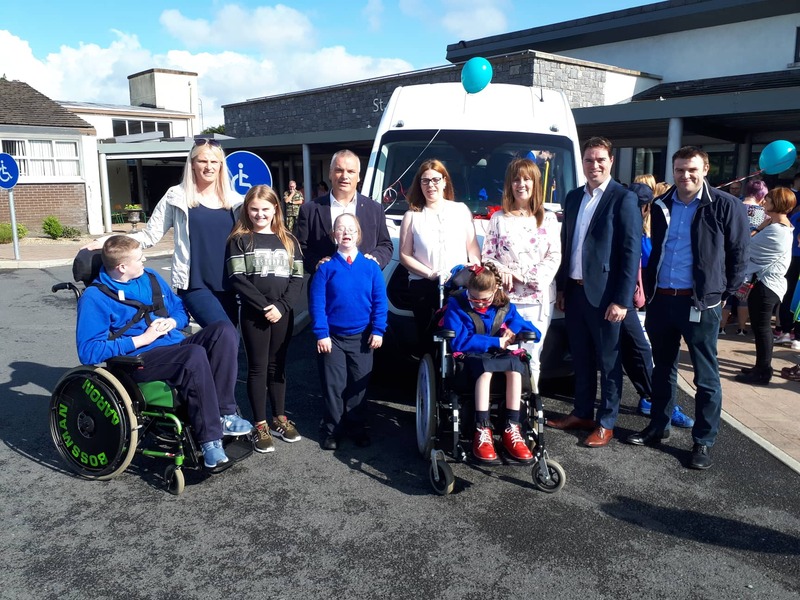 "The support of everyone has been amazing," said principal Pauline Dempsey, "The fact that people pulled together and got behind the campaign in a relatively short period of time to raise just short of €70,000 is amazing." She highlighted the joy shown by the pupils and what it means to them as some clambered aboard to check out their new mode of transport. The principal explained how the old bus, which was on its last legs when the campaign was launched, finally clapped out in January and they had to get a loan of a vehicle to replace it in the meantime. Donated in 2003, it was costing €17,000 a year to run and damp and mould had set in. 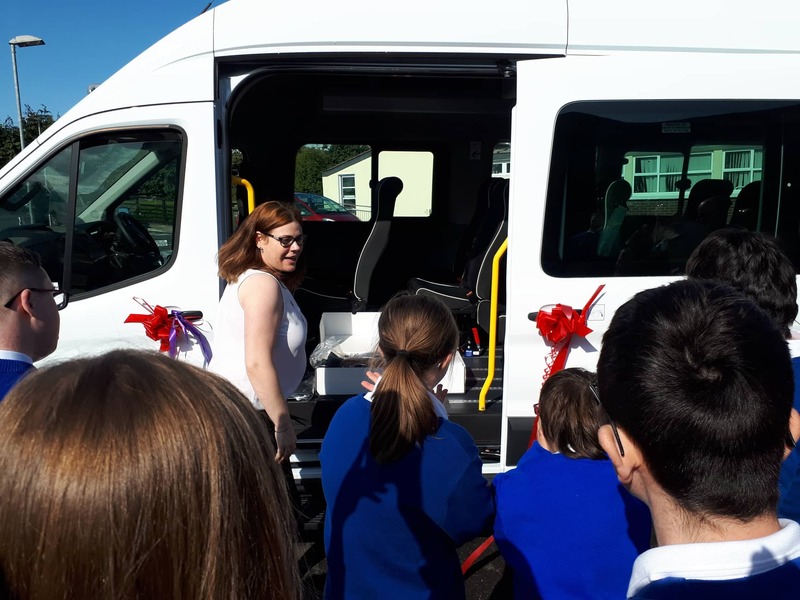 This bus now provides the students with greater social interaction, building social links, visits to other schools, visits to the library, and educational trips. As part of the new Junior Cycle, the pupils will be taking part in work experience and other placements, which is hugely important in preparing the pupils for entering the workplace and living in the community. Ms Dempsey thanked Lorraine, Peter and Wendy for all their hard work in spearheading the fundraising campaign. She said they could have raised even more money if they had extended the time limit on Operation Transportation, such was the groundswell of support for the school. Dep Martin Heydon said to raise such a huge sum of money in such a short space of time shows the high regard people have for the work St Anne's School carries out in the local community. Danny Byrne of main sponsor, KTL from the M7 Business Park in Naas was also present. The bus was kitted out by Freedom Mobility in Balinrobe in Mayo and has fully retractable seating to allow four wheelchairs to fit together. Peter Merrins thanked everyone who held fundraisers or donated money including those who supported the night at the dogs, the toy show and other events. He also praised the Four Peaks Challengers who also donated money towards the bus. "Thanks to each and every person who gave generously both with their time and money to support this campaign without you all we would never achieved our goal," added Lorraine. 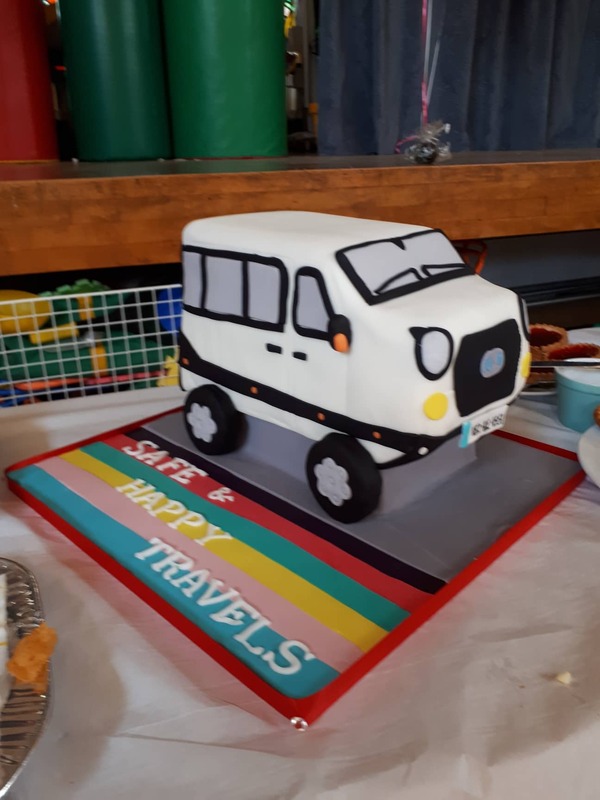 As tea, sandwiches and buns were laid on, the centre piece was a special cake made by Sarah Burke - an exact replica of the much loved new bus, complete with registration plate - a symbol of the great love the pupils, staff and parents have for this school.